Passing by the old Veronica’s storefront on Haddon Avenue today on my way to a pre-Girls Night Out in Haddonfield coffee I noticed a new sign hung from the restaurant’s awning. Being my nosey (and general hungry) self I ventured inside to inquire about the change. The host informed me they switched over last week and was kind enough to let me borrow a menu. The appetizers were especially interesting with selections like gopri, warm goat cheese topped with apricot preserve on a toasted baugette, and cevapi, ground and seasoned meat served fingerling style on flatbread with sour cream and an eggplant/roasted pepper spread! Unaware of the origins of such delicious soundin dishes, I Googled. According to the all-knowing search engine the cuisine is part of the Ottoman tradition. Today’s Living Social South Jersey deal of the day is a $30 gift certificate for only $15 to spend in Haddonfield’s The British Chip Shop on authentic dishes like bangers and mash, classic battered fish and chips, and new fried fare like battered Mars bars. Jilly B behind the counter. 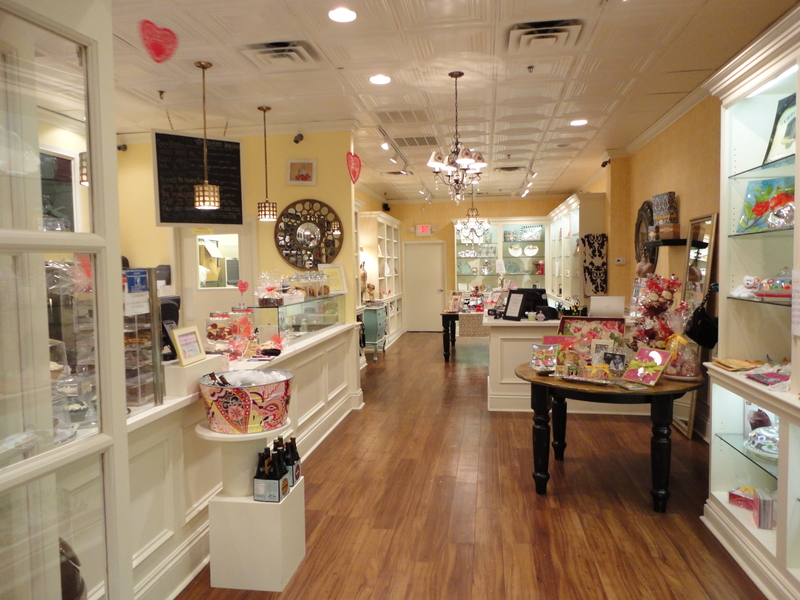 Prompted to visit by news of a special Valentine’s Day promotion, I stopped by Jilly B’s Boutique & Treats in Cherry Hill to check out the shop and meet Jilly B herself. The promotion–$150 for a year supply of their small yogurt (works out to one treat a week for the year) or $100 for a 30-day supply—is a good deal for the one you hold closest to your heart (pun intended) especially considering the four percent hike in last year’s price of that old Valentine’s Day staple, roses. Jill Schafer or Jilly B, a nickname bestowed upon the owner by her grandmother that encapsulates the whimsical and sweet approach of the shop, introduced me to the store’s wares. Jill said she loved frozen yogurt but wanted something tastier than most of the new franchises’ water and powder based product and more sanitary than the self-serve option that’s popping up. Jill chose the California concept of pairing food service and retail like serve-ware, cute aprons, and jewelry and went with a milk and cream based yogurt low in fat and sugar and high in probiotics that’s a little more fun and tastier than everyday yogurt. 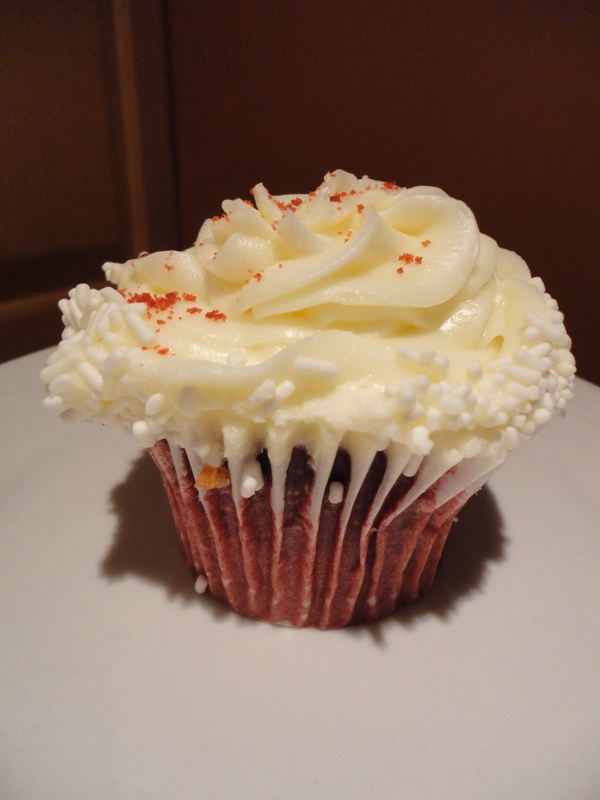 Jilly B’s cupcakes are the perfect portion if you have a serious sweet tooth craving, and are topped with what I believe is the ideal amount of cream cheese icing. You absolutely need enough to get a few licks off the top before getting to the full cake experience. 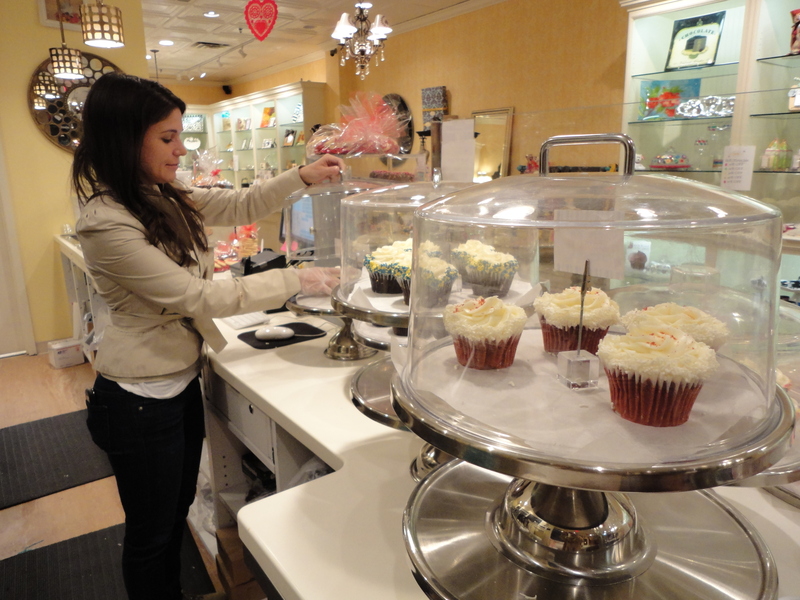 My two choices were the signature Red Velvet and a seasonal that the customers just won’t let go away, the Jewish apple cupcake. Not to cheat on the Red Velvet but I think I may have a new favorite! All in all, Jilly B’s is a great new place to stop in for a lunch break snack, dessert quick pick-up, or that last minute hostess gift. The space and Jill are welcoming (at least three people who knew her by name stopped in while she introduced me to the shop’s flavors) and I can’t wait to see the next new things from the store as Jilly B’s powers through its first year. Keep a look out going into spring and summer for more seating inside and out, a grab-and-go yogurt freezer, and seasonal flavors that might include new fruits like mango and pineapple. 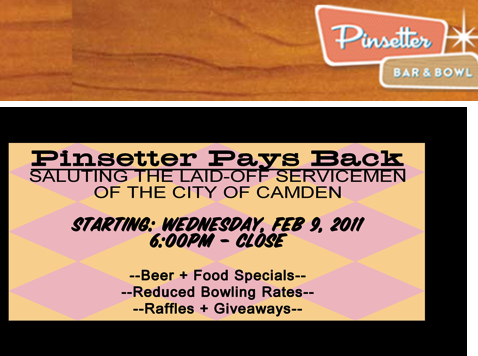 Pinsetter Bar & Bowl in Camden’s neighboring town of Pennsauken has found a way to pay back the laid off police officers and firefighters of the City of Camden for their years of service by offering guest bartender spots on Wednesday nights during the month of February starting on the 9th. From 6:00PM to close the bowling alley will host one laid off serviceman or woman giving them the opportunity to raise funds for their family, friends, and fellow ex-coworkers by working behind the bar for all who come out to support the cause, Pinsetter Pays Back. Each Pays Back night features $2 bowling games, with $1 directly toward both service unions as a charitable donation, $2.50 bottle beer specials, raffles, and a portion of the gratuity raised at the bar during Pinsetter Pays Back will go directly to the laid off police officer or firefighter working the event each night. Pinsetter Bar & Bowl pledges to give each of the services’ unions a check to help avoid such extreme layoffs in the future. Call the bowling alley at 856-665-3377 or email info@pinsetterbowl.com regarding contributing to or participating in the cause. Check out the event invite on Facebook and spread the word! I know it’s over the bridge in Philly but I have been dying to check PYT out for their specialty burgers (Cheesesteak Pretzel Bun Burger anyone?) and shakes laced with bourbon or Kahlua among other selections. At 50% from Groupon.com why not?! Check it out here! Hopefully the promotion of local products using the popular “Jersey Fresh” name, established in 1983, will give a boost to our home state’s farmers and entrepreneurs. Keep a look out for the label next time you shop. A Holiday Gift for One Lucky Local NJ Restaurant. JerseyBites.com is listing a sweepstakes for Jersey Shore restaurants to win a food photography prize pack. 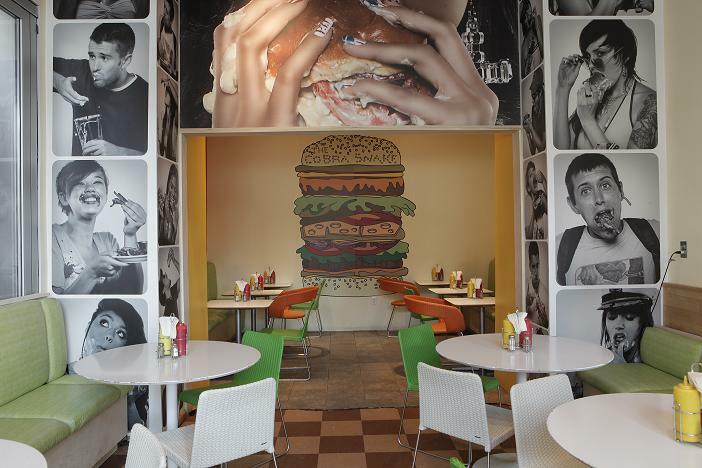 Check it out if you need some help with your restaurant’s website and print media images.